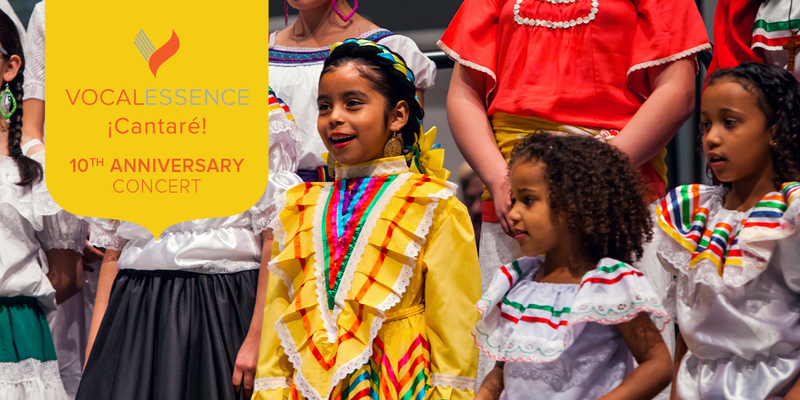 Hear our community come together as more than 500 students join VocalEssence to celebrate Mexico through song at the VocalEssence ¡Cantaré! 10th Anniversary Concert. The culmination of a year-long composer-in-residence program, this bilingual concert includes premieres and an audience sing-along that will leave you with a renewed hope that music can change the world. Tickets for the VocalEssence ¡Cantaré! 10th Anniversary Concert are free and are available at the following locations.